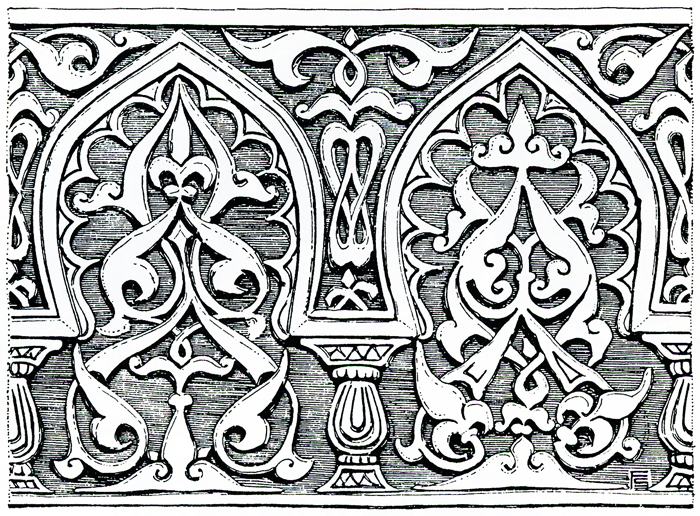 Dado carved in bas-relief (type 38). This type is represented by one specimen. The decoration is composed of three horizontal sections: the upper section consists of a sequence of rolled up half-palmettes, the middle section of a sequence of pointed horseshoe arches supported by small columns, and the lower section of a incised rolled up half-palmettes. The pointed horseshoe arches have an inner polylobated frame and enclose a vegetal motif composed by split palmettes and fleur-de-lis; other vegetal motifs are set in the contour panels. 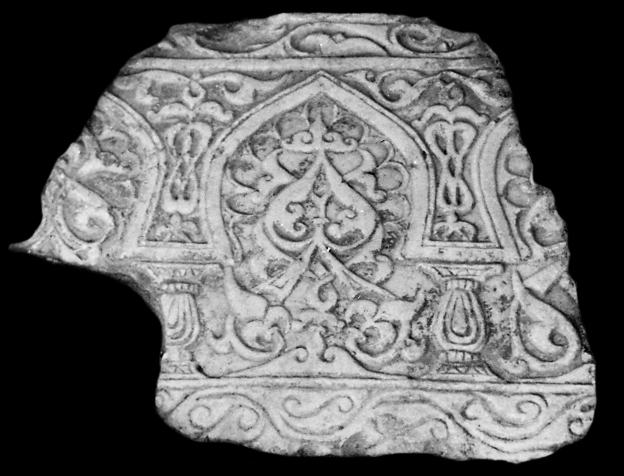 The artifact was found re-employed in the Ghazni area in 1957. Type 38 might have been used as an architectural dado or as a tomb paneling.